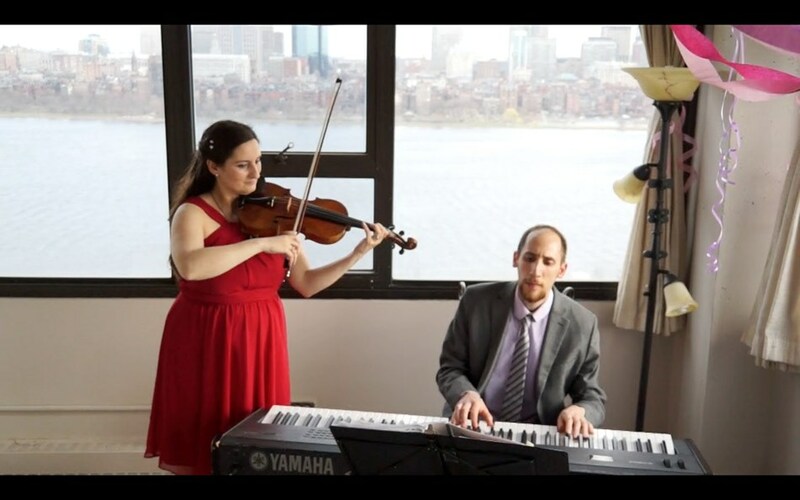 The Harbor Islands Duo is a polished and versatile violin and piano duo with an exceptionally lush sound. We offer professional musical entertainment throughout New England for weddings, holiday parties, engagements, special occasions, and more. 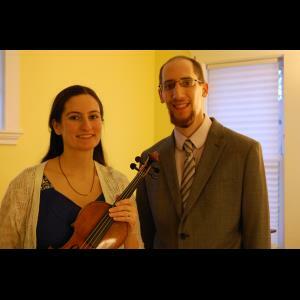 Violinist Charlotte Gopinath and pianist Brian Friedland have performed in concert halls, jazz clubs and cafes for concerts and special events internationally. 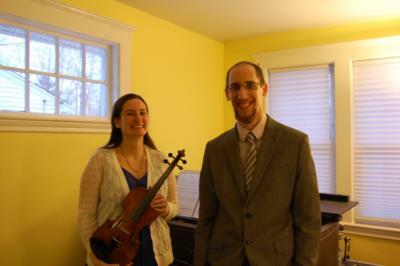 Both are graduates from USC's Thornton School of Music, and Brian also graduated from the New England Conservatory. The Harbor Islands Duo plays a wide variety of music--from classical favorites to jazz standards to pop music. We have a great selection of holiday songs and wedding music, and are happy to play any music you request. We enjoy working with clients to develop a program of music that will set the perfect mood for your special occasion. We are versatile and can also change our instrumentation to accommodate special requests. We are also very portable as our pianist has a high quality keyboard when no piano is available and his own portable power source if need be. The Harbor Islands Duo will make your ceremony unique and beautiful. The sounds of piano and violin are the perfect accompaniment as you walk down the aisle. With our experience playing for weddings across the US, we will help you put together a unique program of music for your Ceremony, Cocktail Hour, and Dinner. As professional musicians, our performances are of the highest quality, and will make your wedding memorable. The Harbor Islands Duo is perfect for holiday parties, birthday parties, engagements, weddings, anniversaries, corporate events and special occasions. We respond within 24 hours to requests for our services, and work with you every step of the way to make sure you are comfortable and secure. We use a simple contract to guarantee our performance services. Professionalism is our priority: we are punctual and reliable. Unless otherwise requested, we wear black for performances, to complement the atmosphere at your special occasion. Charlotte and Brian could not have been more wonderful and accommodating for our wedding! They were willing to learn all new songs for the ceremony, provided great ideas to make our vision come true, arrived well in advance of the ceremony to set up and make sure they were ready to go, and the music was fantastic. They are incredibly versatile, able to play everything from the most challenging classical piece to fun jazz to modern rock/pop. We would HIGHLY recommend them to anyone looking for a talented, unique, and energetic duo to play at their event! My husband and I could not have been happier with Charlotte's and Brian's performance at our wedding ceremony! They did an absolutely wonderful job, and it was exactly how I had always envisioned it. We received many compliments from our guests about how beautiful and perfect the music was. Throughout the planning process they were both very responsive and met with me in person to discuss the music and play some samples. I would highly recommend Harbor Islands Duo for any event; you'll be in great hands! I can't say enough positive things about Harbor islands Duo. They weathered one of the stormiest days of early summer to ferry over to Martha's Vineyard for our wedding. They were professional, sensitive to our wedding requests and performed beautifully. Our guests were talking about the excellent quality of music and sound for our ceremony. I knew the Harbor Islands Duo was going to be fantastic, but the event turned out even better than I anticipated. Thank you Charlotte for enhancing our wedding experience and for providing the onlookers at the Harbor View Hotel an evening serenade. The Harbor Islands Duo was fabulous! They set the perfect atmosphere and our guests loved them. For the first half of the evening they played as a violin and piano duo. The music was so beautiful, and Brian and Charlotte played our favorite songs. We got a lot of compliments on them! For the second half, they provided an amazing jazz trio (Brian on piano, with bass and guitar). The tunes were great--perfect for relaxing after dinner. They are talented! They were prompt and professional, looked great, and were ready to go 30 minutes before start time. This was our second event with them, and we can't wait to have them play for our future events! Great job! Working with Charlotte and Brian was fantastic. Not only did they do an unbelievable job performing at the wedding they were also a huge help during the weeks leading up to the event. I can't imagine anyone could have done a better job performing than they did and I highly recommend the Harbor Islands Duo to anyone who is looking for extremely talented, easy to work with musicians for their event. As the bride I unfortunately was unable to enjoy all of the music played but heard through guests that it was lovely! They were very accomodating, playing everything we requested for ceremony music and just taking care of our cocktail music. Easy to arrange making it great for me. They were awesome! Our guests applauded enthusiastically after every tune! We really enjoyed playing for the Valentine's Dinner. It was a beautiful occasion and a perfect setting for violin and piano. We played a mixture of classical favorites and contemporary songs, and it was perfect for the event. We love playing for parties, as well as weddings! Very professional and very talented. Our party was formal and they dresses accordingly. They played continuously and their music was beautiful. I will use them again. Fabulous! Exactly what we needed. Prompt, professional, and courteous. They are lovely, talented musicians. My guests were so impressed (as was I). The only thing that made me nervous is when Brian called an hour before "show time" to say that he didn't have my address. Yikes. I left him a voicemail a few minutes later and he showed up just a little late which didn't really matter. We were honored to be part of such a beautiful event. We really appreciate the feedback, and have made changes to ensure that these logistical problems don't happen again. We really enjoyed playing for such a wonderful New Year's party, and thanks for hiring us! Please note Harbor Islands Duo will also travel to Braintree, Cambridge, Newton, Readville, Brookline Village, Medford, Randolph, Milton, Quincy, Wallaston, Watertown, West Medford, Weymouth, Arlington Heights, Holbrook, Melrose, Nonantum, North Quincy, Waverley, Dorchester, East Weymouth, Hyde Park, Mattapan, North Weymouth, Oakdale, South Weymouth, Waltham, Babson Park, Avon, Canton.